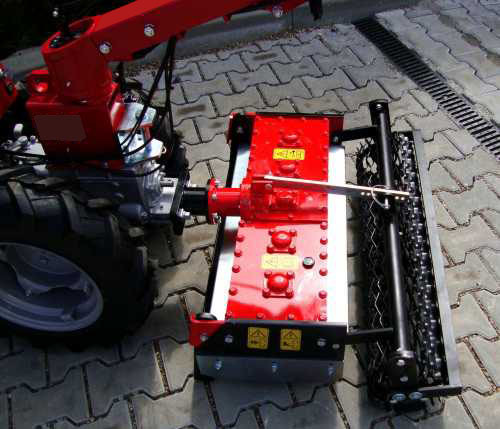 This harrow ZIP750 is especially suitable for small commercial sector, for example in agriculture or for the cultivation of vegetables and fruit or grape vines. 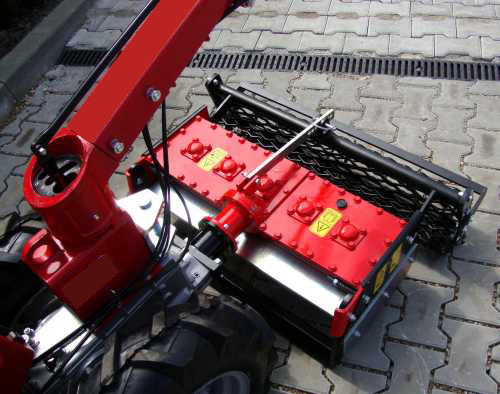 The compact size of this Rotary harrow and its low weight are particularly suitable for use with the two wheel tractor KM8. 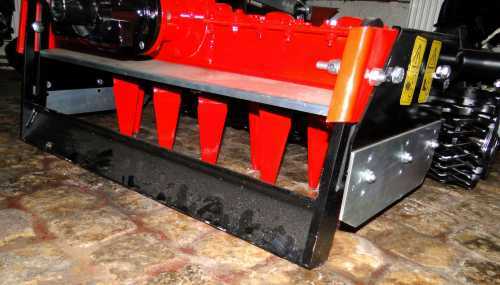 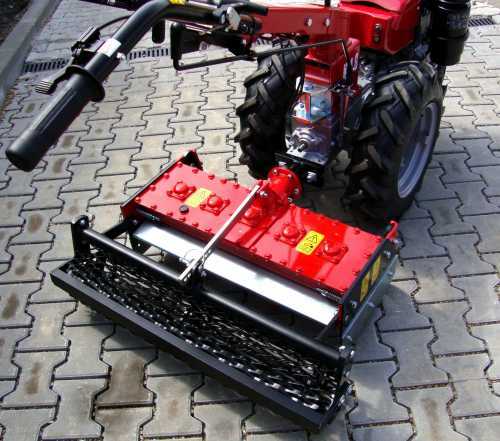 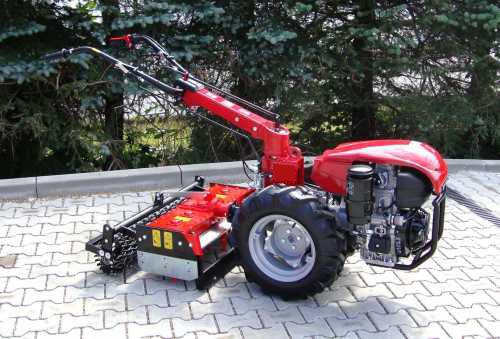 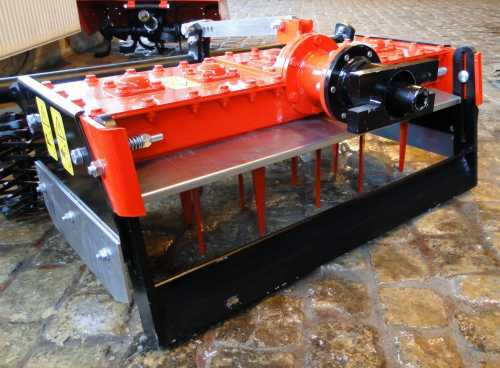 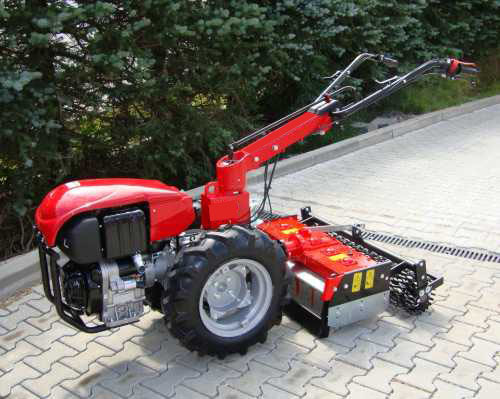 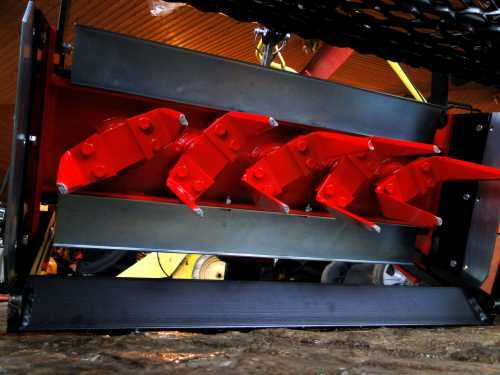 The special blade shape (2 flat tines per rotor) causes a fine comminution of the soil and a fuel-efficient operation of the two wheel tractor. 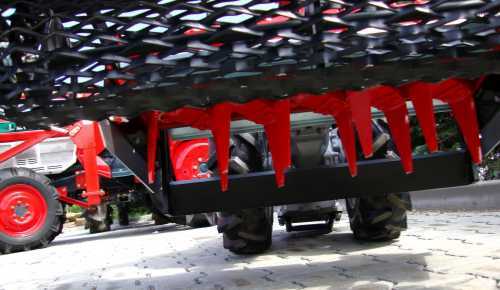 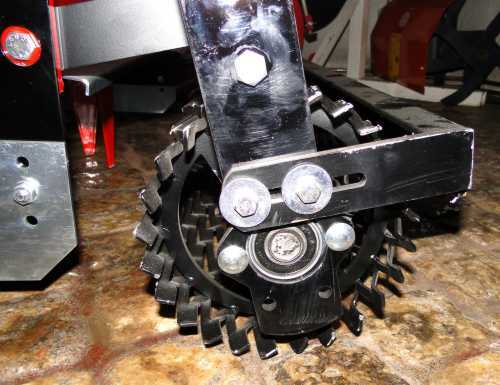 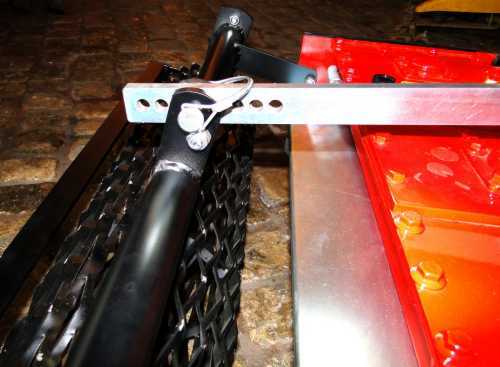 - The harrow has 5 rotors with 2 screwed on, therefore easily replaceable flat prongs. 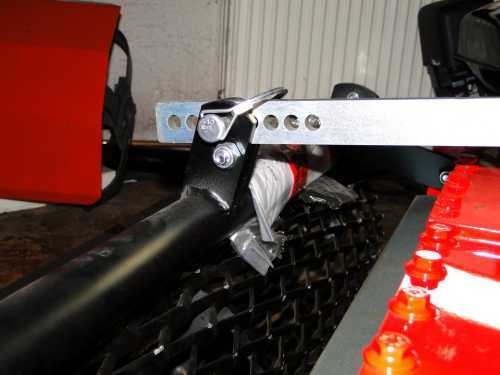 - Before the rotors is a infinitely heightadjustable blade. 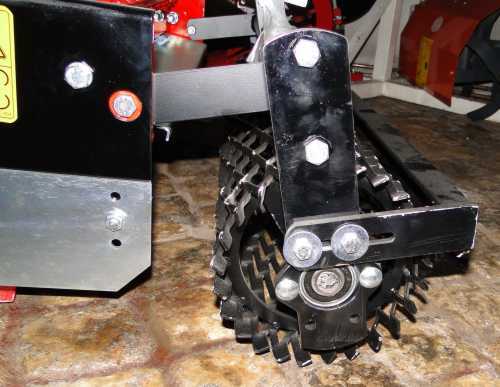 - Furthermore, this harrow has a ball-bearing rear roller with adjustable scraper. 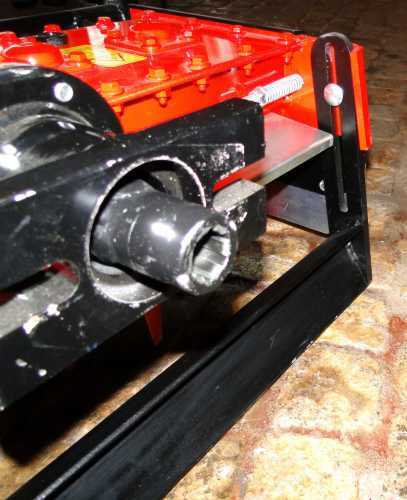 - The rear roller is adjustable in 8 steps.